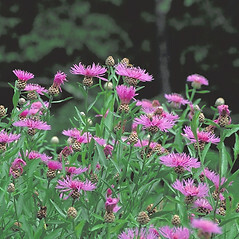 Brown knapweed is native to Europe and introduced in North America. 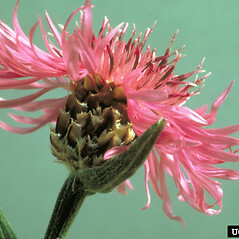 It is considered noxious in some states, where it can form large infestations. 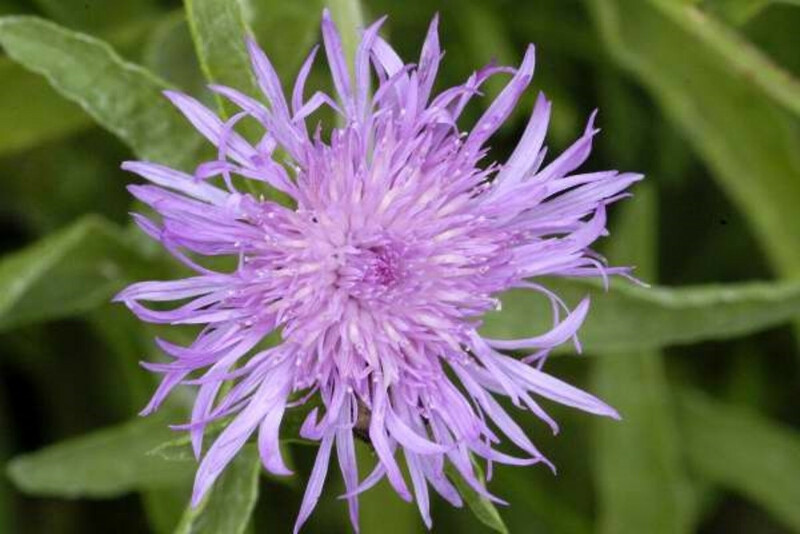 There is also a widespread fertile hybrid between this species and black knapweed (Centaurea nigra), which can be quite variable and is also found in all New England states. 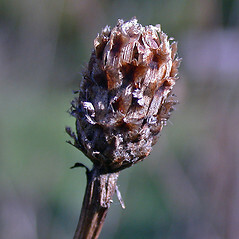 involucral bracts of flower head with a terminal appendage that is light brown to brown, the appendage on the lower and middle ones irregularly lacerate, the appendage on the upper ones with a notch in the center (vs. C. jacea, with the involucral bracts of flower head with a terminal appendage that is brown to black, the appendage on the lower and middle ones regularly fringed, the appendage on the upper ones without a notch in the center). 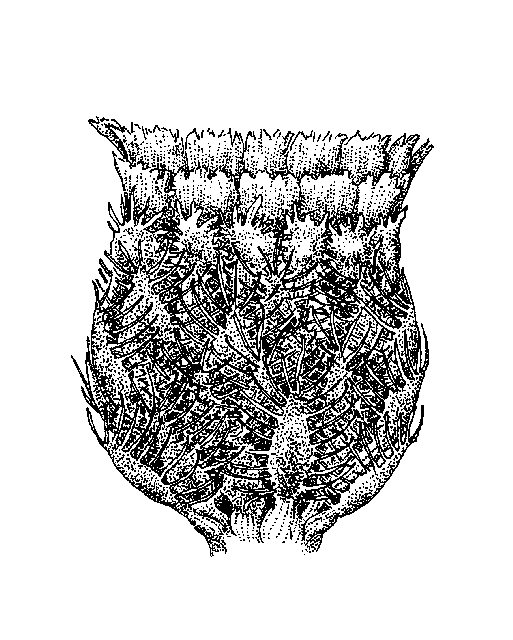 apical appendage of involucral bracts brown to black, those of the middle and outer series regularly pectinate-fringed, usually none of them bifid (vs. C. jacea, with the apical appendage of involucral bracts light brown to brown, those of the middle and outer series irregularly lacerate, those of the inner series often bifid). 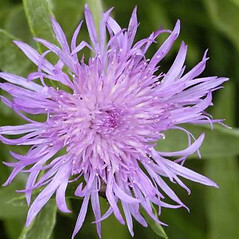 Centaurea jacea ssp. decipiens (Thuill.) Celak. 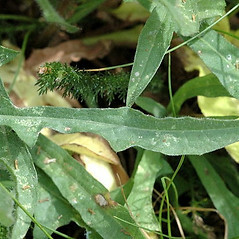 Centaurea jacea ssp. 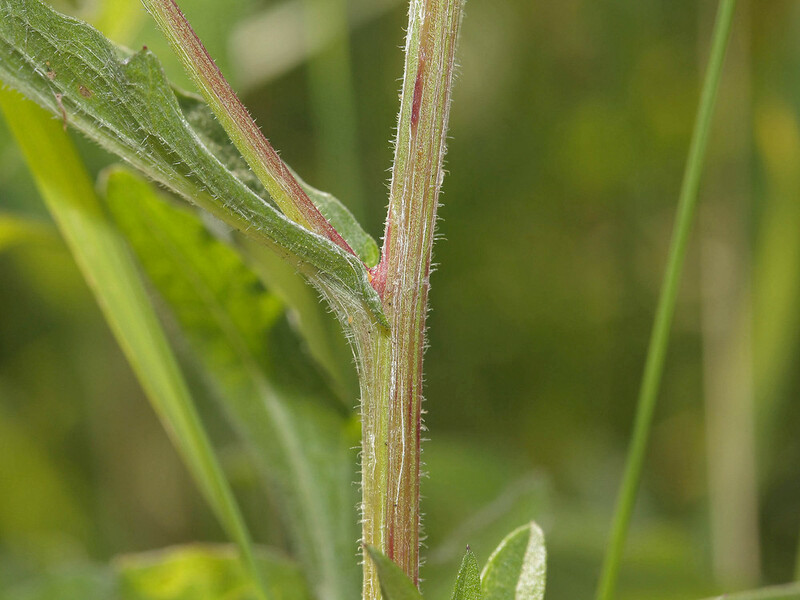 pratensis Celak. Cyanus jacea (L.) P. Gaertn. 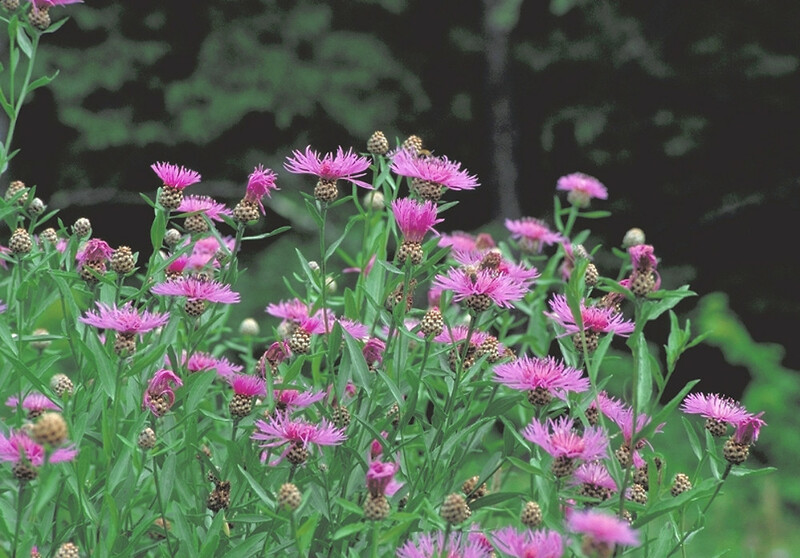 brown knapweed. 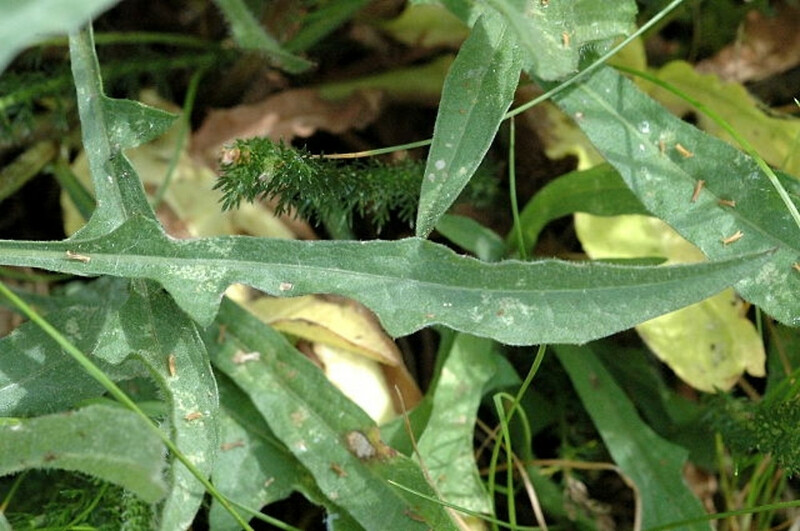 Centaurea debeauxii Gren. & Godr. ssp. thuillieri Dostál; C. jacea L. ssp. 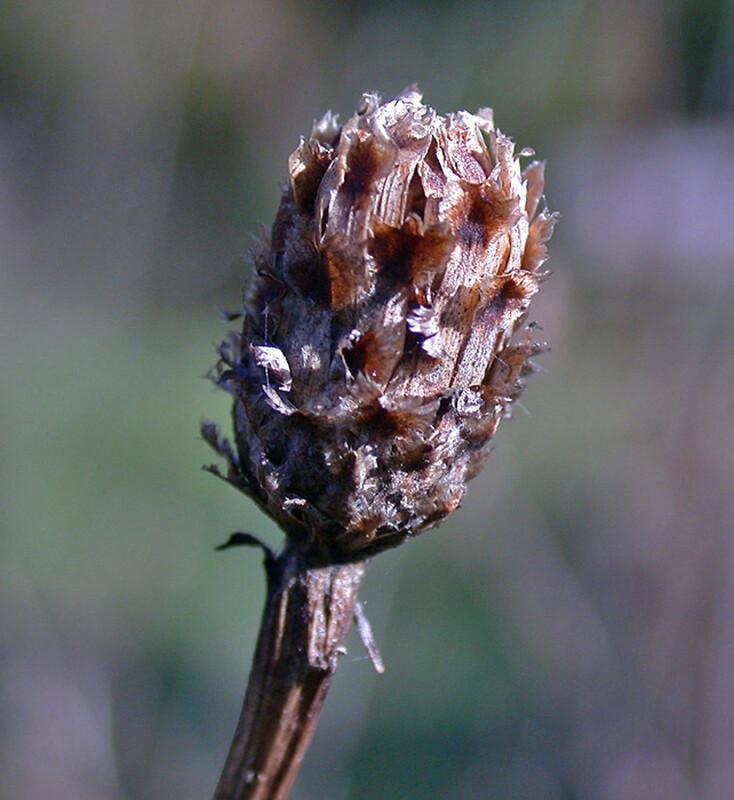 decipiens (Thuill.) Čelak. ; C. jacea L. ssp. pratensis Čelak. ; C. pratensis Thuill. ; C. thuillieri (Dostál) J. Duvign. & Lambinon; Cyanus jacea (L.) P. Gaertn. ; Jacea pratensis Lam. • CT, MA, ME, NH, RI, VT. Roadsides, fields, waste areas. 5×8. 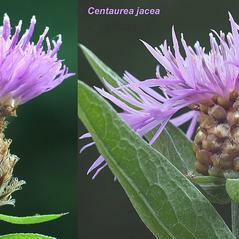 Centaurea jacea × Centaurea nigra → Centaurea ×‌moncktonii C.E. Britton [Fig. 386] has been known by the illegitimate name C. pratensis Thuill. It is known from CT, MA, ME, NH, RI, VT. 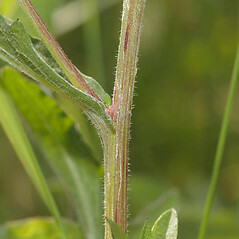 It is a variable hybrid, with marginal corollas usually enlarged and falsely appearing as ray flowers (but sometimes not; usually enlarged in C. jacea, usually not enlarged in C. nigra), either lacking pappus or with vestigial bristles, and involucral bracts with brown apical appendages, those on the middle involucral bracts becoming irregularly pectinate (these irregularly lacerate in C. jacea and regularly pectinate in C. nigra). 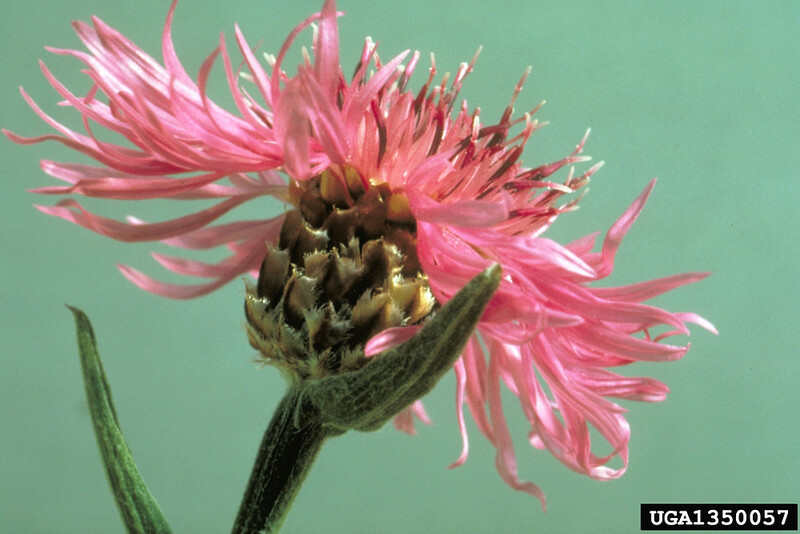 The involucral bract appendage often conceals the distal portion of adjacent involucral bracts but can be highly variable in later-generation hybrids (i.e., they can approach one or the other parent). The involucres are usually at least as wide as tall in life.